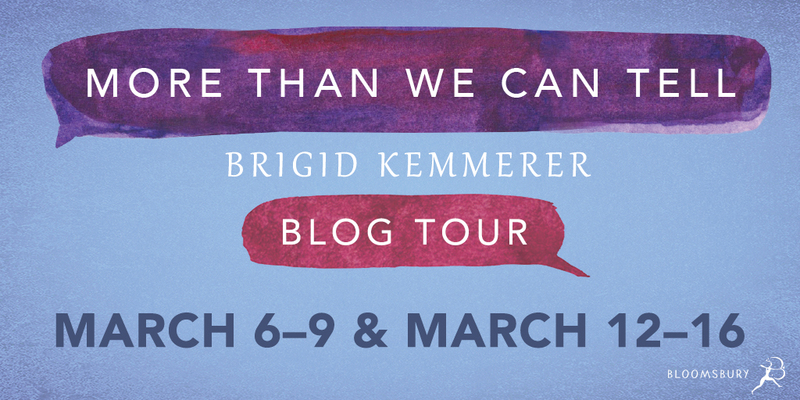 Today I'm stoked to be sharing my interview with Brigid Kemmerer for the blog tour. She's one of my favorite authors, so I'm excited I was able to do this! 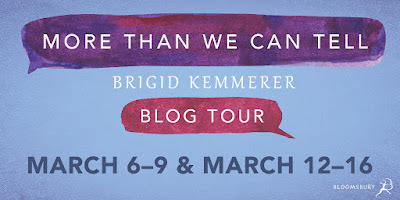 More Than We Can Tell comes out March 6th, so definitely check it out! 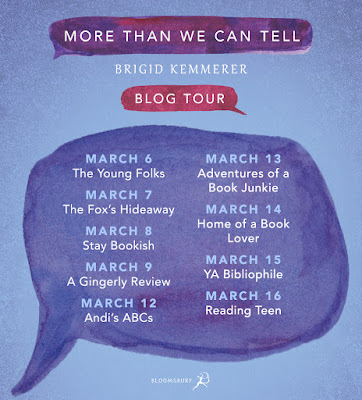 Welcome to The Fox’s Hideaway, Brigid! For those unfamiliar with your latest novel, can you tell us a little bit about it? Thank you so much for having me! More Than We Can Tell is a book about two teens who are both being harassed by different people in their lives, and while they’re trying to figure out how to handle it, they find each other, and they help each other through it. If you were to sort Rev and Emma into Hogwarts houses, which ones would they be in? Bonus: Declan and Juliet’s houses? Oh wow, this is a tough question! I think Emma, my fearless gamer, would be Ravenclaw, and Rev, my white knight in a hoodie, would be Hufflepuff. Bonus: Declan would be Griffindor, because he’s a white knight who dresses up like a villain. Juliet is driven and motivated, so I’d put her in Ravenclaw with Emma. I love that gaming is such a big part of More Than We Can Tell. If you could, would you play OtherLANDS? (I definitely would! Emma’s built something amazing). Thank you!! I would totally play OtherLANDS! I used to love playing City of Heroes years ago, and sometimes I miss it terribly! I also appreciate that your book tackles subjects such as PTSD, abuse, and how toxic and threatening the gaming community can be for women but that they aren’t the sole focus. And that it’s okay for Rev and Emma not to be okay and to have time to work through their issues. Was it ever difficult to separate the struggles while writing? 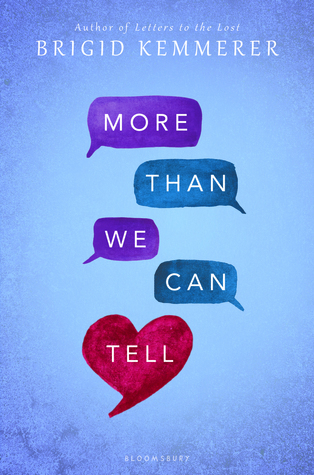 Writing More Than We Can Tell was probably the most emotionally trying book I’ve written yet. Between Rev’s history of abuse and Emma’s online gaming harassment, it took a ton of research into topics that weren’t very pleasant. I watched a lot of videos of women being harassed in game, and honestly, the biggest challenge was making the harassment severe enough that people would understand that it was definitely a Big Deal, while still keeping the language/subject matter appropriate for YA. A lot of the videos I watched were very R-rated, and some were even NC-17. It was disgusting. I spoke with a police officer about how people are targeted online, too, and the stories he told me were horrifying. Add in conversations with psychologists about PTSD and lasting effects from child abuse, and … well, let’s just say I hug my kids extra hard every night. I cried writing a lot of the scenes in this book. MTWCT is a contemporary, but you’ve published non-contemporaries too. What do you like about genre hopping? Do you have a particular favorite? Right now I’m finishing up my 2019 contemporary, which doesn’t have a final title yet, but it’s about a boy named Rob, whose father was caught stealing money from many families in their town, so Rob takes it upon himself to start stealing from rich kids to help the poor families his father hurt. I can’t wait to share it with you all! Be sure to check out the other tour stops! March Madness: Year 3 Kickoff!